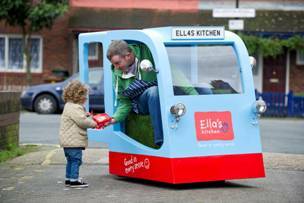 The world’s smallest milk float, standing at just 133cm tall and 88 cm wide, has been revealed today to help bring the big tastes of Ella’s Kitchen new yoghurts, fromage frais and rice pudding to tiny tots. Having taken specialists over three months to develop and construct, the mini milk float has bespoke features including a steering wheel measuring just 22.5cm and a 45cm windscreen, making it a perfectly miniaturised version of the real thing. The world’s tiniest milk float has been created by baby and toddler food expert Ella’s Kitchen and goes on tour from today to welcome its new range of 100% organic fromage frais, yoghurts and desserts to the dairy aisle. The battery operated tiny milk float is 60 per cent smaller than the average float and designed to be just big enough to be driven by Paul Lindley, Ella’s Dad and Founder of Ella’s Kitchen. He was spotted out and about on the streets of London, delivering yoghurts to little ones across the capital. Paul Lindley comments: “We created the first - and the world’s smallest – tiny milk float, to celebrate the BIG tastes of our new dairylicious yoghurt, fromage frais and rice pudding – as you can see I can barely fit inside it! It was tricky to make the smallest milk float in the world and it was a real test for the designers, but we felt it was the best way to capture exactly how our new range is perfectly sized for little ones, but still contains big tastes for tiny taste buds with up to 20% real fruit and no added refined sugar. 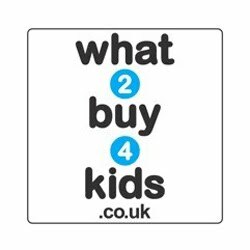 We’re excited about tiny tots experiencing our new range for themselves”. Ella’s Kitchen’s new dairy range contains no added refined sugar and provides a natural source of calcium, so they are a great way to introduce dairy to tiny tots for the first time. The new yogurts, rice puddings and fromage frais are available to purchase in the dairy aisle at Asda, Tesco, Waitrose and Ocado. 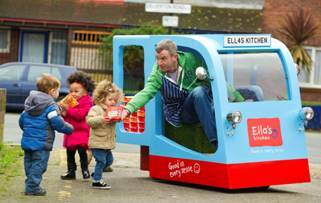 Please visit www.ellaskitchen.com for more products and information. 0 comments on "The World's Mini-Est Milk Float"